Usually Peter gets to text me beautiful photos during the work day. My turn! After a couple of crazy weeks at work with back-to-back events, I took a mental health day on Friday. I deposited A at day care and headed out for a mid-morning pedal. Up to Inspiration Point, back over the top of Grizzly Peak, and finally down Tunnel Road for a total of 23 miles. It was a glorious day (for which I paid dearly this morning at work) although I definitely remembered why I hate descending on Tunnel. Awful visibility, slow, not that fun. Much better to drop down Claremont and try to break my speed record until some driver cuts me off and forces me to go 20 mph on the curvy, steep road. I guess I shouldn’t complain about people driving slowly. I complain daily about people driving too fast on other roads. Anyway, Saturday I did “the usual” up Tunnel, down Claremont, a quickie 13 miles that takes about an hour. I think maybe six cars? On a gorgeous Sunday morning? I prepped my stuff Saturday night for the early Sunday morning departure, determined not to forget my maps and to be ready to roll at 6:00 a.m. And then I fell back asleep after my alarm went off, so I leapt out of bed nearly half an hour late, at 5:24 a.m. That precious Sunday pre-ride time has become so nice that I couldn’t rush – I haven’t touched the Sunday Times since, which is indicative – so I read Modern Love and an opinion piece on sleep disorders before rolling out at 6:31 a.m. 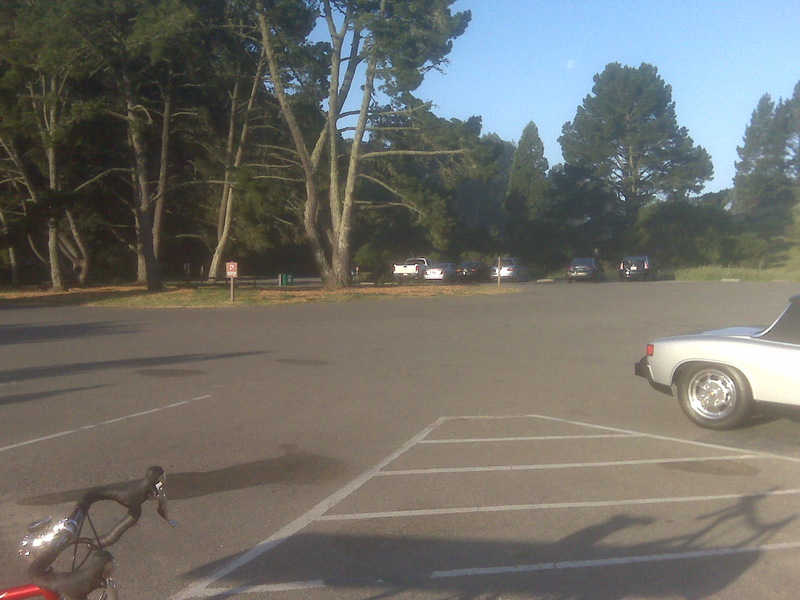 The days have gotten long enough that I can safely ride without lights as early as 6:00 a.m. and by the time I got up to Inspiration Point at 7:20 a.m. it was a glorious sunshiny morning. Nonetheless, I’d never seen the parking lot as empty. Guess everyone else decided to sleep in? I had a snack and headed down the other side to check out Reliez Valley. after the start of the Three Bears ride I stayed on Alhambra Valley Road towards Martinez instead of turning back towards Orinda. I hadn’t done this one before, so I was excited to see a new section of the East Bay and get a little off the beaten path. 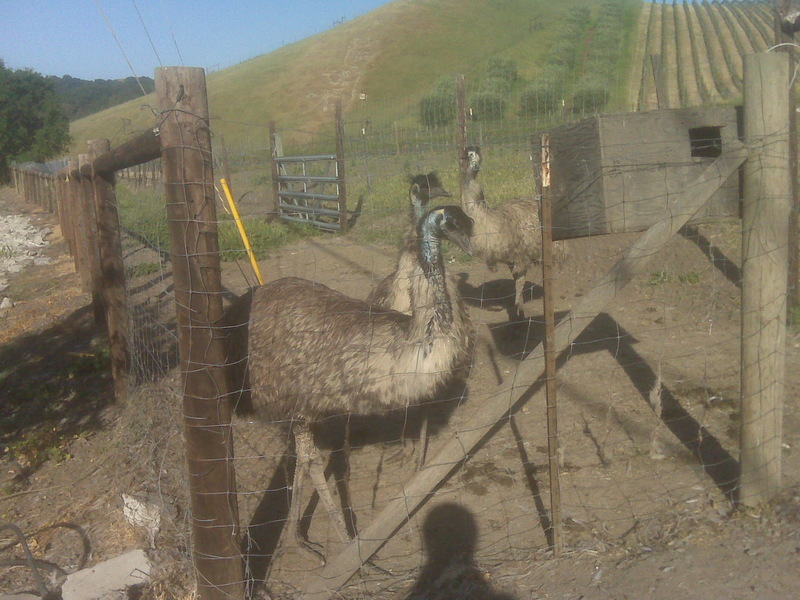 The first new view was a farm with three ostriches out front – quite friendly – which definitely made me feel like I was doing something new. The next thing I saw was a giant steep hill stretching skywards in front of me, with three clear segments separated by mini-plateaus. Oof. They really mean it when they put four “up” arrows on a stretch of road on those bike maps. 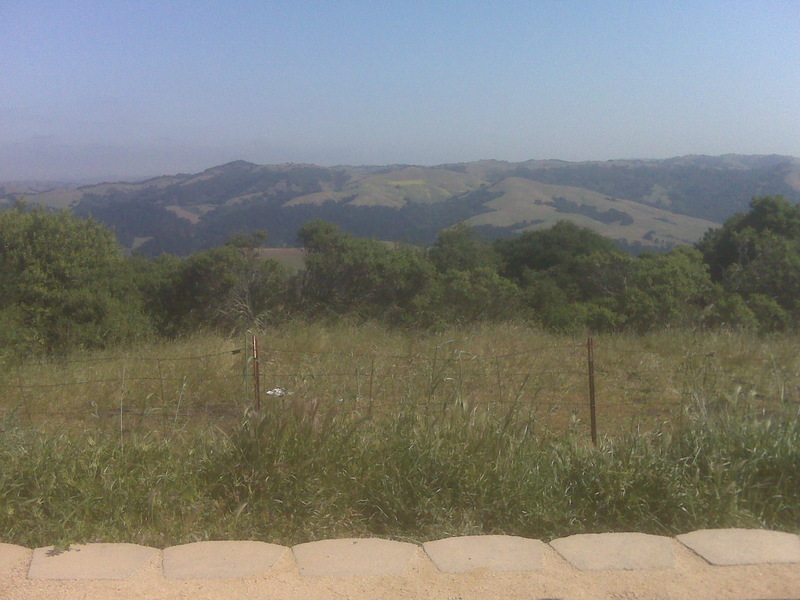 I finally crested and rolled back downhill to turn onto Reliez Valley Road, where I soon entered Martinez. 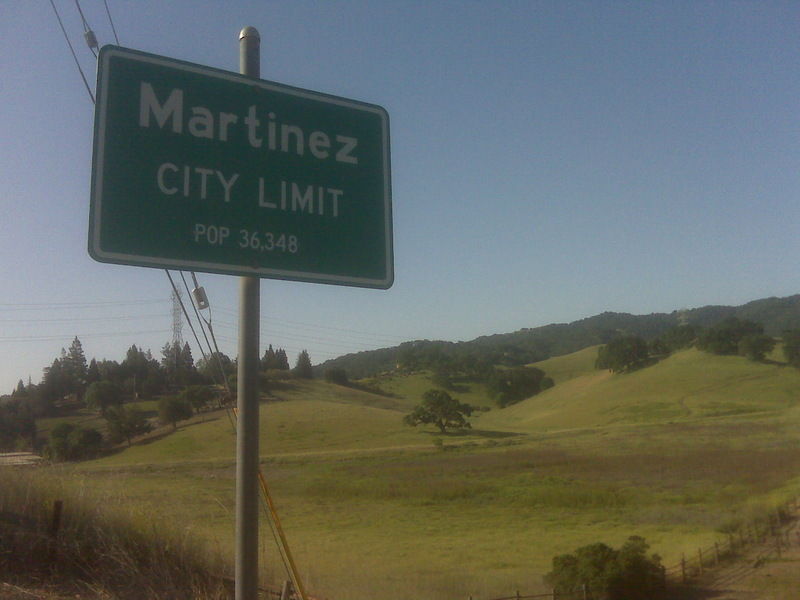 I don’t think I’ve ever been to Martinez, except passing through on the train. Kinda fun. A brief visit, not what I pictured. others ignoring this command – I know it’s slow going to pedal uphill but I know the California Vehicle Code allows me to be on a street unless it’s a freeway. Harrumph. The last leg of my journey took me back through Moraga, where the Sunday Farmers Market offered coffee (finally! No Peet’s out in the boonies) and a friendly conversation with some riders from the Fremont Freewheelers preparing for an event that is now the top of my wishlist. Mark the calendar for the 2014 Gourmet Century in Portland, OR. That sounds amazing. Finally, up and over Pinehurst (not so scary this time) and back down Claremont again, where I got stuck behind an SUV at 20 mph and commiserated with a fellow cyclist who caught up with us…but, I know, I shouldn’t complain about people driving slowly and carefully. I just wish they’d drive slowly and carefully all the time, not just in front of me on a fast hill! Just two more training weekends before the real thing. Next weekend, I’m aiming to peak at 63 miles while Peter takes A to swim lessons on Saturday. No oversleeping for that ride! ← Training ride catch-up: Puppies and more!